For this week’s interview, I had an opportunity to chat with the very talented and delightfully outspoken Margaret Brazear, an author of historical fiction, as well as an expert on Newfoundland dogs. 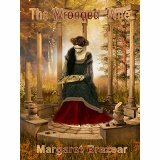 Margaret is also a perfectionist when it comes to the historical accuracy of her books, which makes it easier for a reader to get lost in the story without any distracting factual errors. AJ: Margaret, thank you so much for taking the time to talk to me today. I’ve read several of your books, so I’m excited to hear some of your answers. Let’s get started. I understand that you didn’t start your writing career until later in life. What inspired you start writing? MB: To tell you the honest truth, ever since I can remember I have made up stories in my head, with me as the heroine of course, even dialogue, and I have gone around talking to myself. I thought I was a candidate for the funny farm so I never told anyone. I suppose I actually got my first story down on paper when I was about 16 but I did nothing with it. I love English history and after reading some non-fiction books and chronicles about the religious changes from Edward VI, who was fiercely protestant and made that religion law, to Mary I who was a fanatical Catholic, I got to wondering what it would be like to live in those times. God was a very real character in their lives and for six years the people were told this is the right way, then Mary comes along and starts burning people at the stake for not being Catholic. So that thought developed into The Judas Pledge, although it wasn’t called that then. It was over thirty years ago and I wrote it by hand and typed it up on a manual typewriter; it took me two years or more. Then I wrote another based on the stories my mother used to tell me about her childhood and teenage years living in the east end of London. The problem was my children were very young and I had little time so I shelved the whole idea. Then when I retired I dug out the hard copy of the second one, typed it all out again as I only had the hard copy, and published it under the title, The Romany Princess. 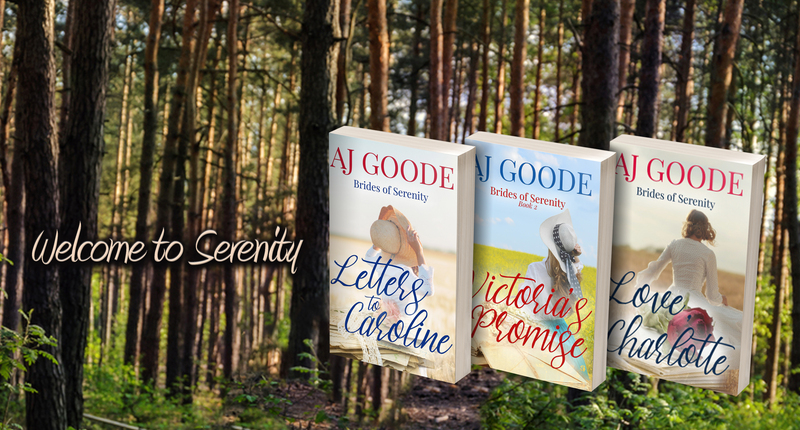 I was scared stiff that it would be laughed at, but a very nice author gave me the encouragement I needed and I got some wonderful reviews which inspired me to rewrite The Judas Pledge, from memory because the hard copy had disappeared during several house moves. AJ: I’ve heard you say that one of your best-selling books is your non-fiction work about training Newfoundland dogs. What can you tell me about that book? 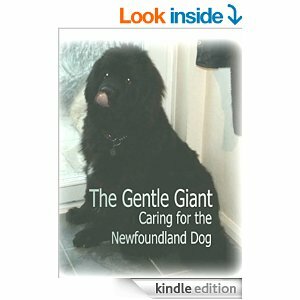 MB: That one is called The Gentle Giant: Caring for the Newfoundland Dog. It is weird because it is almost exactly the same as my website, www.gentle-newfoundland-dogs.com which I have had for about three years. 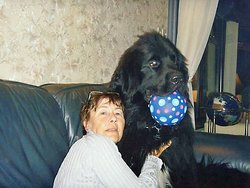 I started the site because when I was thinking of buying a Newfie puppy, I read everything I could about the breed, but I felt some things were missing or wrong so I put together a website, which ran into 60 pages. Someone I know online has a similar site about Rottweilers and she mentioned she had written an e-book to go with it, so I thought I would give it a go. It really does sell very well, especially the paperback version and the picture on the front cover is my Joshua, who I lost when he was only three. AJ: Most of your books are historical fiction. What historical period is your favorite to write about, and how do you do your research? MB: My favourite period is the mid-sixteenth century, as mentioned, and actually I only research the specific dates and things because I have read so much about it over the years, there is not much I don’t already know. Sometimes I have to find out if certain things have been invented yet, but mostly it is not too difficult. Next to that are periods of upheaval such as the Black Death, which wiped out half of England. I have loads of history books, mostly chronicles and journals written at the time, like Pepys’ Diary, which I can dip into for research. I like to make my stories authentic and that involves women being treated as property, which a lot of readers do not seem to like, but that is history, attitudes were different, laws were different and marrying someone you have never laid eyes on was perfectly normal. AJ: Why that particular period in history? MB: I think I answered that above, but to clarify it is probably the sudden change in what people were told to believe which fascinates me. Mary Tudor burned nearly 400 Protestants during her five year reign in an attempt to bring England back under the authority of the Church of Rome. Instead, her actions made quite sure that no Catholic would ever again sit on the throne of England. Charles II was a secret Catholic, but kept quiet about it until on his deathbed. His brother, James II was not as cautious and he was deposed and exiled to France in favour of his protestant daughter, Mary II. Even today, no heir to the throne is permitted to marry a Catholic, no matter how far down in the line of succession they are. One member of the royal family has already relinquished his claim to the throne in order to marry a Roman Catholic. That is how far the repercussions of Mary Tudor’s fanatical campaign have spread, almost 500 years. AJ: Not all of your books are historical fiction. 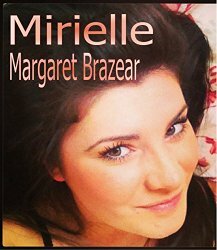 What can you tell me about Mirielle and The Journal of William Brazear? MB: About thirty years ago I attended a weekly evening class for creative writing. We were all asked to write a first chapter as a sort of test to see who could hook readers in best of all. Mirielle was my first chapter back then so I dug it out and finished the entire story, without having a clue where it would go. I am not very good at mysteries but again it has been well received. The Journal is what it says on the tin – the Journal of my late husband’s grandfather. This was found when his eldest son died, handwritten and very difficult to read. His grandson photocopied it and handed it out around the family as a keepsake and when we got our first computer, I decided it would be a good project to acquaint me with Word so I typed it up and added photographs. Then when I found kdp I thought it would be a great tribute to publish it, originally just for the family but I have had quite a few sales in the United States. He was a remarkable man who walked 200 miles from London to South Wales in order to find work. He set out with a friend without a penny between them and survived by hanging round factories at closing asking the workers if they had any leftover sandwiches. He joined the army when war broke out in 1914, fought at the battle of Mons, and was taken prisoner by the Germans. It is an eye witness account of the battle and life in a German POW camp. AJ: I have to be honest and tell you that Mirielle is my favorite of all of your books that I’ve read so far. You created some characters that really stuck with me after I finished reading it. Is there a project you want to write but haven’t started yet for some reason? MB: I have several projects floating around the grey matter, but my main problem is knowing which one to start on! MB: I am 8000 words into a new historical novel, again set at the time of Mary Tudor but not really involved with her. It is called The Loves of His Life, and at the moment it is about an Earl (of course) and the three women he has loved. Of course there will be more to it than that, but you will have to ask him what comes next! If you could have tea with any “big time” author, who would you choose? MB: Does it have to be someone who is still alive? If so, I would say Peter James, but I would prefer Dorothy L. Sayers and Agatha Christie. AJ: What was the last book you read? Would you recommend it? MB: I would recommend it because it was one of my own! Seriously, it was reading a Jean Plaidy novel back in the sixties which got me interested in history, so I fancied reading another of hers. I bought The Revolt of the Eaglets, which was about Henry II and the rebellion of his three eldest sons to try to take over the throne. To be honest, it was not as good as I had hoped and not what I remember of this author. There was a lot of commentary which could have been made into interesting scenes and she kept saying things like ‘he shrugged his shoulders.’ Well, what else would he shrug? So no, I can’t recommend it. AJ: What advice would you offer to aspiring writers? MB: If you don’t go round talking to yourself you’re not a writer! Seriously, it is not easy to get the ideas in your head onto the paper; it takes a lot of rewriting. Your characters take over; if they don’t they are not good characters. I never really know where a story is going until it is finished. The other thing to remember is not to believe your mum when she tells you it is brilliant! AJ: I think that last bit may be the most important advice any writer could ever get! Margaret, thank you again for taking the time to talk to me today. I wish you all the best with your books, and can’t wait to read your newest as soon as it comes out. You’re very welcome! Thank you for taking the time to talk to me.